Kementerian Luar Negeri Republik Indonesia - KEMLU is the Ministry of Foreign Affairs of the Republic of Indonesia. KEMLU is a ministry in Indonesia that hold responsibility on foreign affairs of Indonesia. 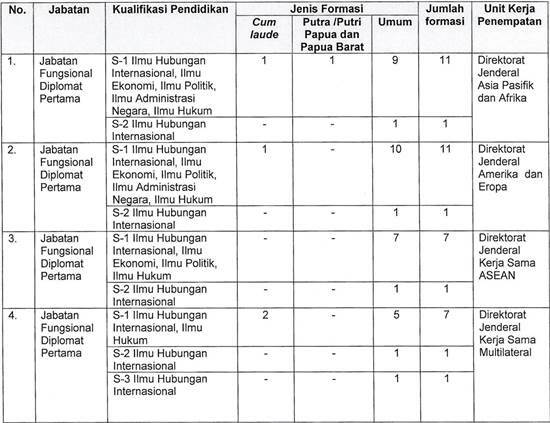 KEMLY was previously known as Departemen Luar Negeri (DEPLU) or the Department of Foreign Affairs. In 2008, DEPLU renamed into The Ministry of Foreign Affairs based on Law No 39 of 2008 (the new law about State Ministry of 2008). 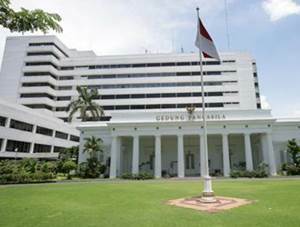 The Ministry of Foreign Affairs of the Republic of Indonesia headed by a Minister of Foreign Affairs (Menlu) that since 27 October 2014 chaired by Retno Lestari Priansari Marsudi (Retno L.P. Marsudi). Previously Retno L.P. Marsudi is the Indonesian Ambassador to the Netherlands. She was appointed by the President Joko "Jokowi" Widodo as the Minister of Foreign Affairs to replacing Marty Natalegawa. She is the first woman to be appointed to the post. Headquartered in Jakarta and its principal office is registered at Jl Pejambon No 6 Jakarta Pusat, 10110. 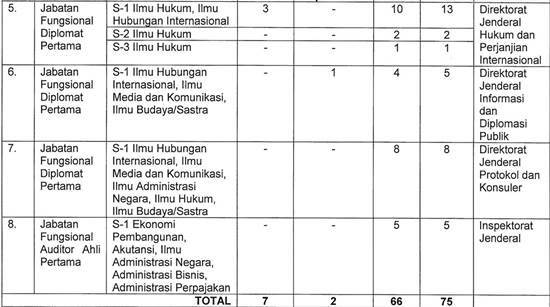 According KEMLU's profile as cited by JobsCDC.com, KEMLU is assisted by 1 Vice Minister of Foreign Affairs, 1 Secretariat General, 7 Directorate Generals, 1 Inspectorate General, 1 Policy Analysis and Development Agency, and 4 Expert Staff. JobsCDC.com now available on android device. Download now on Google Play here. Please be aware of recruitment fraud. The entire stage of this selection process is free of charge. [CPNS] Kementerian Luar Negeri - 75 Formations S1, S2, S3 CPNS KEMLU September 2017 will never ask for fees or upfront payments for any purposes during the recruitment process such as transportation and accommodation.